HOUSTON — A woman from Houston has been arrested in Nevada, accused of endangering her 14-year-old daughter by letting exotic animals – including three lions – roam free in the family’s home. Police in Nevada said Trisha Meyer is in custody, awaiting extradition on a child endangerment charge. Houston Police said they began an investigation into Meyer in September, after she tried selling a kitten to a man in California for $3,000. She never gave him the kitten after receiving the money. When officers arrived at her Houston home, they found several wild animals. 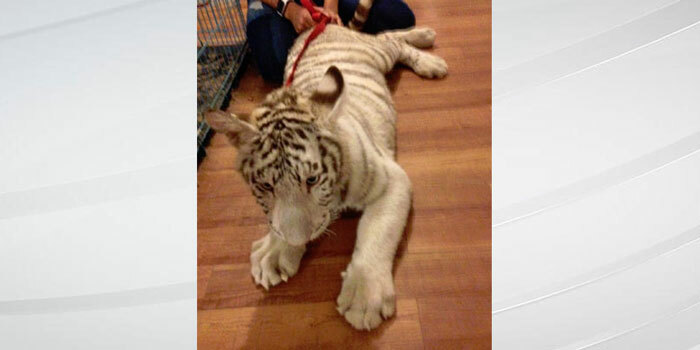 Police said three tigers, a cougar, a skunk and a fox were roaming freely inside Meyer’s home. Meyer’s 14-year-old daughter was inside the home at the time. Animal experts said the situation was dangerous for everyone involved. Officials said Meyer had tiger permits. The other animals were taken to a shelter.